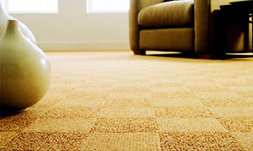 With advances in manufacturing technology, 95% of all carpet produced today is tufted. It takes about an hour to make a roll of carpet that might take eight hours to weave. To make tufted carpet, hundreds of yarn-threaded needles are pushed through the primary backing fabric to form loops or tufts, which may be left as is or cut. A heavy adhesive coating is applied to hold the tufts in place and a secondary backing is usually glued on for strength and stability. A wide variety of styles and textures can then be created using various techniques. Berber : Berber carpets look like and are named after a handmade, bulky wool carpet made by the Berber tribes of North Africa and Asia. The loops are made from thick or bulky yarns of wool, nylon, polypropylene or a blend of these fibres to give a cushioned effect underfoot. These carpets are available in an assortment of colours and may be flecked and can be either level loop or multilevel loop. Level loop: When all the loops are of the same height, a highly flexible and durable carpet is created which has a natural, casual appearance even when (commonly) it is made from synthetic fibres. The tight loop texture tends to hide marks so it's a good blend between luxury and practicality. Multi-level loop: The loops vary to two or sometimes three loop heights to create informal, random textures which are very forgiving for marks and stains and therefore very suitable for high traffic areas and busy family rooms. Freize: Frieze (pronounced free-say) carpets are similar to saxony, but the yarns are more tightly twisted and should always be heat set. They have a dense, low pile surface which creates a coarse, pebbly texture. 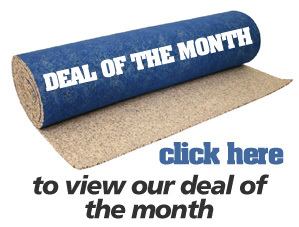 Frieze carpets are very durable and hide footprints, dust and dirt, which makes them suitable for heavy traffic areas. Saxony: Saxony textures are made of twisted yarns, which should be heat set. 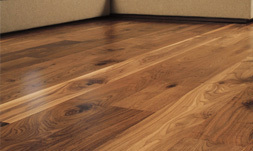 The tips remain very distinct, rather than blending together to form a very elegant finish. 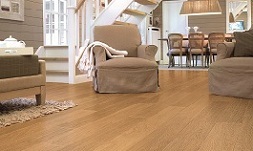 Saxony textures show footprints and vacuum marks so are suitable for more occasional rooms in the home. More textured variations improve the practicality of saxonies. Twist: The popular twist carpet is the cut pile standard. The yarn is tightly twisted and often heatset to retain this feature and the result is a versatile, textured finish that is ideal for plain colours. Velvet: Velvet textures (sometimes called 'velour' or 'plush') all have a level surface pile of approx 5mm to l0mm height, which is then sheared to give a smooth finish. With very little twist in the yarn, ends blend together which then further enhances the overall finish. These carpets tend to 'shade' with heavy use. Footprints show easily and the colour looks different from place to place because fibres lying in different directions reflect the light differently. A luxury for occasional rooms. When some of the pile is cut and other left as loop, a variety of surface textures and patterns can be created (in a variety of colours). The multi level surface is excellent for hiding footprints and stains so cut and loop is good for high traffic areas and general purpose rooms in the home. Shag pile:Shag pile has varied in popularity. 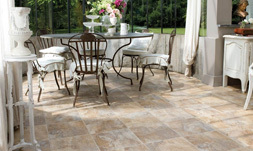 The pile is up to 50mm long and the texture is casual and loose but the surface flattens easily and lacks durability. Bonded carpets (sometimes called 'fibre-bonded' or 'fusion bonded') are created by firing fibres into an adhesive material - the fibres are not stitched into the backing in any way. The technique is principally used for commercial carpet tiles. Woven carpet may be in a tiny minority of today′s production but still produces some of the finest carpets which are used for prestigious installations. Axminster: The pile of the carpet is inserted into the backing as it is woven and cut to length, creating U-shaped tufts to give a velvety surface. The process locks in the fibre to create a carpet of high durability and performance retention as well as a luxury feel. The process allows for intricate designs and colours to be used although modern trends mean that the traditional patterned axminster has given way to current fashion trends for plain carpets. Wilton: Wilton woven carpets are produced in a similar way to axminsters - the principal difference being that a continuous fibre is woven all the way through. The carpet can be sheared to create a range of cut and loop textured effects. 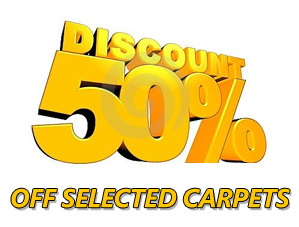 The result is a high quality carpet of unrivalled durability. Flat weave: Manufactured in the same way as wilton, flat weave is a loop pile which allows the yarn to be woven across a wider area to create a flatter more textured effect.